Here's a list of missions that you can complete to gain fast Coins in Hungry Dragon, an action-arcade rampage mobile game. Follow the given tips below to help you out, good luck! Note that you may reduce the cool-down timer of your missions by watching an ad (-15 minutes). Use this whenever possible to gain quick Coins and unlock more dragons. Kindly check first our general tips section (link below) to help you with your missions. Accumulate a total of [X] points! - Method 1: Just play and rake Points as you go. - Method 2: Activate Mega/Fire Rush while completing HUNGRY Letters. If needed, unlock stronger dragons or customize your current dragon with pets (ex: Score+% Pets) and costumes to make things faster. Activate Fire Rush [X] times! - Pretty easy, just keep your multipliers going to activate. - Activate Fire Rush then burn all houses or any buildings that you can see. - Unlock higher tier dragons to unlock more areas. - You can get Golden Pots or Coins while playing, but it is faster to rake coins by activating Mega/Fire Rush. 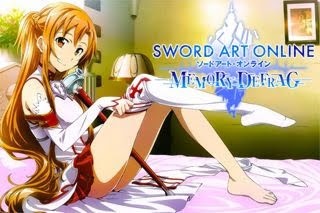 - You may also equip costumes and pets (ex: Coins+% Pets) that you like. - Use your mini-map to collect them. One egg per run. - Note: If you can no longer collect more due to insufficient space, better skip this mission by watching an ad. - Just go inside undersea caves or open waters and dive in. - If needed, activate Mega/Fire Rush to gain infinite boosts. Eat a total of [X] canaries! - These birds are pretty common, just fly around and grab them all. Eat a total of [X] dragons! - Just go to any wide open spaces and you'll see them there. - Only grab what your dragon can easily eat though. Eat a total of [X] goblins! - These goblins are commonly found at the left side area of the map. - Can also be found inside the Mines, once you unlock higher tier dragons. Eat a total of [X] spiders! - Still pretty common somewhere around those floating rocks, the witches area, inside the caves, and more. Fly a total of [X] meters! - Just play and survive for as long as you can. Use your boosts whenever possible and activate Fire Rush and/or HUNGRY Mode. Survive [X]m [X]s in total! - Method 1: Just play and survive for as long as you can. Conserve and only eat creatures to restore your depleted Health. - Method 2: Unlock better dragons and equip costumes and Pets to survive longer (ex: Any Health Pets; Health Drain-%, or Any Shields if needed). Activate Fire Rush [X] times in a single run! - Just keep your multipliers going and avoid getting hit. 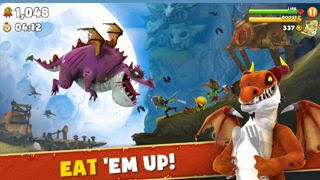 - Unlock better dragons to make things easier, equip pets and costumes if you want. - Use free revives if needed. - TIP: When your Fire Rush is about to end, make sure that you'll end up to an area with lots of easy preys (usually around open areas like the skies) to keep your high multiplier and activate another one. Burn [X] buildings in a single run! - Activate Fire Rush then burn all houses or any buildings that you can see, repeat if necessary. - Unlock better dragons to unlock more areas where you can burn more buildings. - Equip pets that gives (Fire Duration+%) if you have. Eat [X] Canaries in a single run! Eat [X] Dragons in a single run! Eat [X] Goblins in a single run!! Eat [X] Spiders in a single run!! - Still pretty common to find somewhere around those floating rocks, the witches area, inside the caves, and more. Eat [X] Villagers in a single run!! - Commonly found within or around villages. - Example during early game: on those big leaves (1 each side) or bridges near the waterfalls (you can get a lot here). Go for it right from the start and don't let them run away from you. Next, wait for them to re-spawn if you need more. Note that villagers that can attack like archers will not count, so just focus on getting those weaponless villagers. - Unlock higher tier of dragons to unlock more areas if you need more or to make things easier. Fly [X] meters in a single run! - Method 1: Just play and survive for as long as you can. Use your boosts whenever possible. - Method 2: Activate Mega/Fire Rush while completing HUNGRY Letters to gain infinite boosts. If needed, unlock stronger dragons or customize your current dragon with pets (ex: Speed+% or Fire Duration+%) and costumes. - Method 3: Airflows push you in one direction. Following them increases your speed! You can find them from undersea caves, human towers, and more. Reach [X] points in a single run! - Method 1: Just play and survive for as long as you can. Maintain your Multipliers to gain more points. - Method 2: Activate Mega/Fire Rush while completing HUNGRY Letters to gain lots of points. If needed, unlock stronger dragons or customize your current dragon with pets (ex: Score+%) and costumes. - Those creatures and objects that you can't normally eat like Ghosts and Mines can really give you some nice Points, go for them if you are able to trigger Mega Fire Rush (accumulate first then trigger if needed).